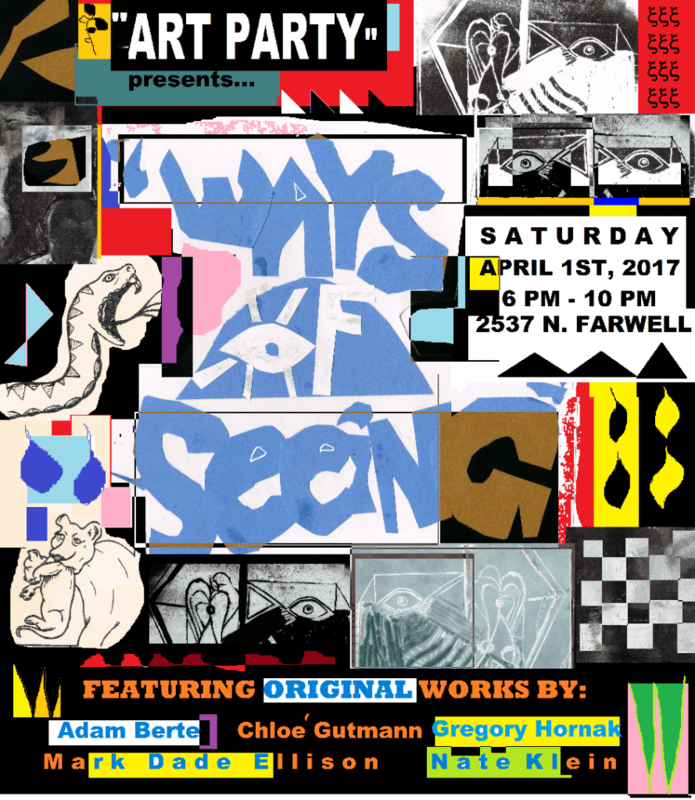 Ways of Seeing features original works from Adam Berte, Chloe’ Gutman, Gregory Hornak, Mark Dade Ellison and Nate Klein. Donations welcomed. Like us on Facebook. Follow us on Twitter. Etc.., etc…, etc…. Art Party’s goal is simply to feature artists and their art, and to foster discussion of art between artists and their audiences.